We accept all Visa, Master Card, Maestro and Diner Club debit and credit cards as a medium of deposit and withdrawal. Debit and Credit card withdrawal cash outs are not permitted to residents of certain countries due to banking regulations. These countries include Australia, Hong Kong, India, Indonesia, Japan, Korea, Malaysia, Singapore or USA. Login to your Mongoose Casino account and click the Deposit button on the second to top right hand side of the screen. Players then have the option of choosing whether they want to claim our welcome bonus (available on first 2 deposits). Login to your account and click on the account settings button located on the second to top right corner of the screen. Payr is an efficient, quick and secure method that players may use to make online payments to merchants. By simply having a VISA or MasterCard credit card, players may easily make online payments through Payr in a smooth and efficient manner without compromising their security. Please note that players are not able to cash out using Payr, players can opt for a Bank Transfer for withdrawals. If your Skrill account is already setup with Mongoose Casino, simply choose the withdraw amount or enter an amount manually and click on Withdraw. Login to your account and click on the account settings button located on the top right corner of the screen. If your Neteller account is setup with the casino, players can simply choose the withdrawal amount or enter an amount manually. Login to your Mongoose Casino account and head over to your profile on the top right corner of the screen. Find full information on how to Bitcoin and bitcoin deposits here. Unfortunately players are not able to withdraw using Paysafecard. If players deposit via Paysafecard, they would require a bank transfer or EFT for withdrawal. To find out more about how to use Paysafecard and a full list of available sales oulets please check out the Paysafecard website. Flexepin vouchers allow instant deposits into your Mongoose Casino account. One of the most private methods used for funding your accounts, players can purchase Flexepin vouchers in thousands of outlets across the globe. 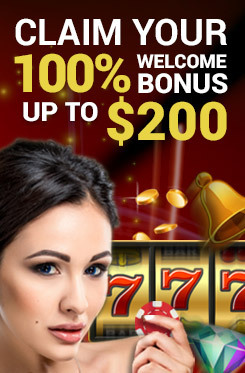 Once a valid voucher code with the desirable amount is entered, your Mongoose Casino account will be funded instantly. Unfortunately players are not able to withdraw using Flexepin. If players deposit via Flexepin, they would require a bank transfer or EFT for withdrawal. To find out more about how to purchase and use Flexepin please check out our Deposit from mobile with Flexepin page. For full information on how Neosurf vouchers work, where to buy them and how to fund your Mongoose Casino mobile account, go to our Neosurf vouchers mobile page. Making a Bank Transfer deposit is generally not accepted at Mongoose Casino, however, we do make exceptions depending on the case. Please contact our customer support for more information. For security reasons, Mongoose Casino only allows withdrawals to be made through the same medium that was used to make deposits. Processing times are stated in terms of business/working days. Withdrawals can be made only once the KYC requirements have been completed and the documents have been approved. VIP players enjoy numerous benefits such as faster withdrawals and reduced processing fees. Wagering requirements must be fulfilled before players can withdraw their active bonuses. All withdrawals are paid corresponding to the bank associated with the payment option used. The processing time mentioned above is based on the average time taken. The actual time may vary. Transfers may take longer in the case of bank transfers to Credit Unions or via Intermediary banks.